Several years ago I attended a speech by actress Kathleen Turner, who was a national spokesperson for Planned Parenthood Federation of America at the time. Turner told the college audience about how she had relied on Planned Parenthood’s health care services when she was a student, and she encouraged all of us to take advantage of the services offered there, too. 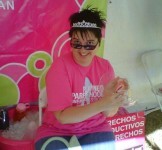 But, she told us, when we were in a position to give back to Planned Parenthood, we had an obligation to do so. 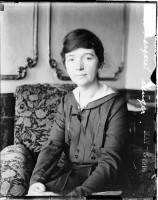 September 14 marks the birthday of Margaret Sanger, founder of the modern birth control movement. Born Margaret Higgins in 1879 in Corning, New York, Sanger would become a trailblazer and set the stage for women to control their reproductive destiny. Margaret’s earliest childhood memories were of crying beside her mother’s bed after a nearly fatal childbirth. Anne Higgins, a devout, traditional Catholic, did die at age 50, worn out from frequent pregnancies and births. Margaret’s father was a freethinker, a stonemason, a charmer who loved to drink and spin a tale but was less than a dependable provider. Margaret knew poverty; she identified with the struggles of women. 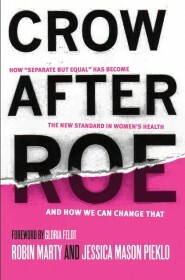 Her experiences formed her sensibilities about the moral rightness of birth control. And she had that freethinker streak that allowed her to break boundaries.